The Tibetan Bazaar is a unique celebration of the Tibetan culture – the only annual celebration of its kind in central and northern Alberta. For the past 26 years our society has hosted this festival which has grown in popularity each year. 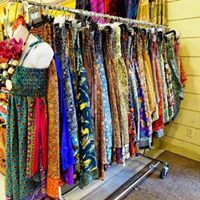 Each day festival attendees can shop in the Himalayan market, sample delicious Tibetan food, win door prizes and receive instruction in meditation from a Tibetan monk – our spiritual director Kushok Lobsang Dhamchöe. The marketplace is a wonderful place to find unique imported gifts including handmade Tibetan wool carpets, hand-woven textiles, carved wooden décor, unique jewelry, traditional and modern art, meditation supplies, books, CDs/DVDs, and Tibetan ritual items including singing bowls, incense burners, prayer beads, bells, cymbals and more. 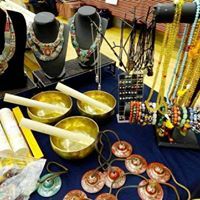 Don’t miss this once-a-year opportunity to celebrate the Tibetan culture and beat the crowds by shopping for unique Christmas gifts early in the season. 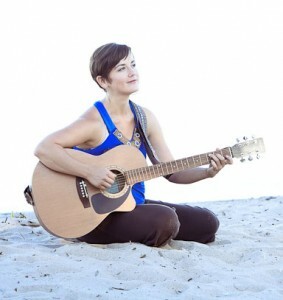 Sparrow Grace (Tiffany Brulotte) is a Canadian based singer-songwriter, kirtan artist and healer. Her performances include her original songs and select cover tunes woven creatively with traditional Eastern mantras and call and response kirtan chants. The mantras access a deep vibrational wisdom that is beyond words and the songs speak truth that can be understood by the head and heart. The end result is a musical experience that is heartfelt, uplifting and inspiring. Sparrow will be performing at noon on Saturday, September 22. 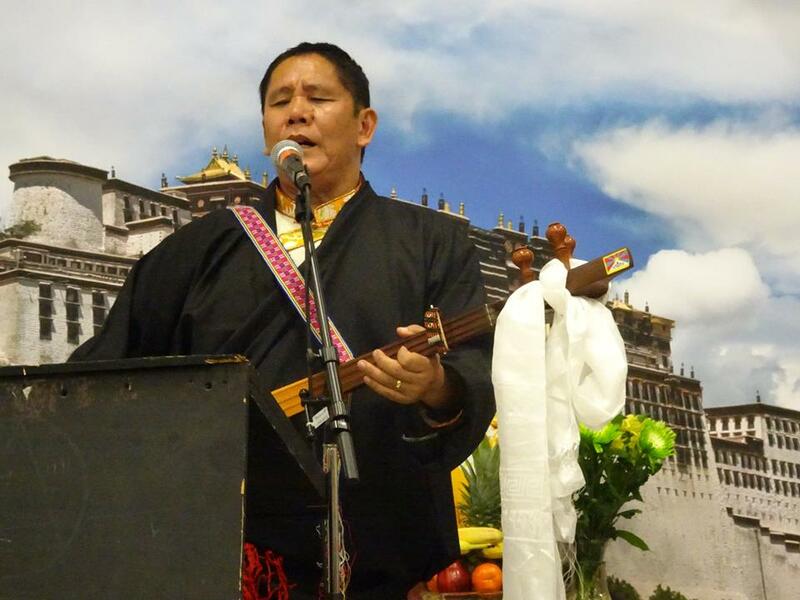 Sonam is a Tibetan singer and musician that is visiting from India. 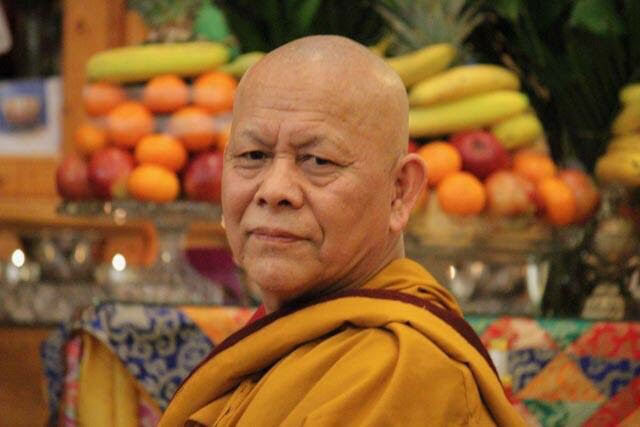 He is the brother of the Venerable KushokLobsangDhamchoe. Sonam will be performing Traditional Tibetan music. There will be daily one hour long meditation talks by Venerable Kushok Lobsang Dhamchoe. Kushok will be giving a basic introduction to meditation. Anyone with an interest in meditation is welcome to attend and no prior meditation experience required. All faiths welcome. There is no additional charge to attend. A favorite feature of the Tibetan Bazaar is the food! For purchase will be delicious Tibetan momos (dumplings). 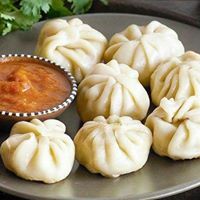 There will be vegetarian momosas well as yak momos. There will be additional dishes such as curries and daal. Also for sale will be soft drinks and water. Chai tea and traditional Tibetan butter tea will be available by donation. Butter tea is made from tea, water, butter and salt. It is a regular part of Tibetan life dating back to the 7th century. We hope that you will consider volunteering your time for this event. We rely on volunteers like you to make it a success. There are a number of volunteer opportunities available including kitchen prep, food serving, and set up and take down. All volunteers will receive free admission and a voucher for a momo meal and a drink. We are grateful and deeply appreciate your generous support of this annual celebration of Tibetan culture and tradition. Each year, the Tibetan Bazaar features more than 30 vendors from Tibet, Nepal, and India. If you would like to purchase a vendor table, please contact Gillian.Patton@gsl-ab.ca. Bazaar vendor spots will be assigned using a lottery method. I saw the film “Tibet: Cry of the Snow Lion” on Sept. 21st, and I’m so glad that film exists. I hope there will be many more screenings, for people in all walks of life. My prayers go out to all who are still in danger, despair, or despondency. May our Creator help and guide them all.